In this blog post, I will show you how to configure your Amazon CloudFront distribution using Lambda@Edge to serve private content from your own custom origin. Cost optimization: Data transfer out costs from an AWS origin to CloudFront Edge Location is free of charge. Improved performance: Connections to other parts of AWS are made over high-quality networks that are monitored by Amazon for both availability and low latency. This monitoring has the beneficial side effect of keeping error rates low and window sizes high. 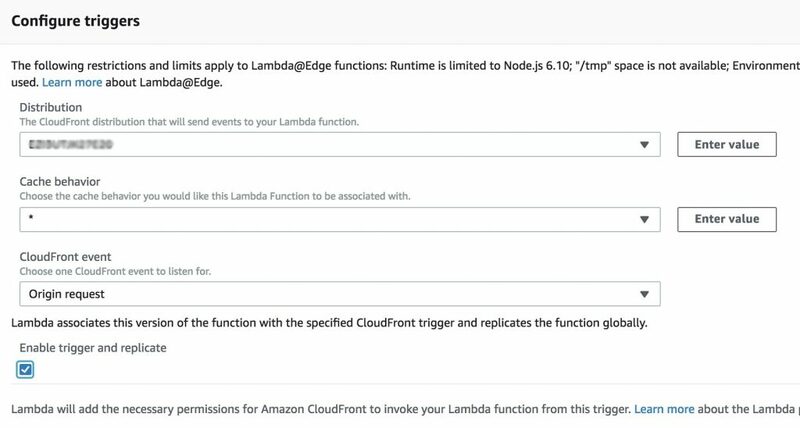 Lambda@Edge makes CloudFront a programmable content delivery network by running AWS Lambda functions in CloudFront locations closer to your viewer to customize your content. Lambda@Edge lets you run Node.js code without provisioning or managing servers. Your code can be executed in response to CloudFront events such as requests for content by viewers or requests from CloudFront to origin servers. Require that your users access your private content by using special CloudFront signed URLs or signed cookies. Restrict access to your origin exclusively to CloudFront. Configure Origin Access Identity to restrict access to content on Amazon S3. 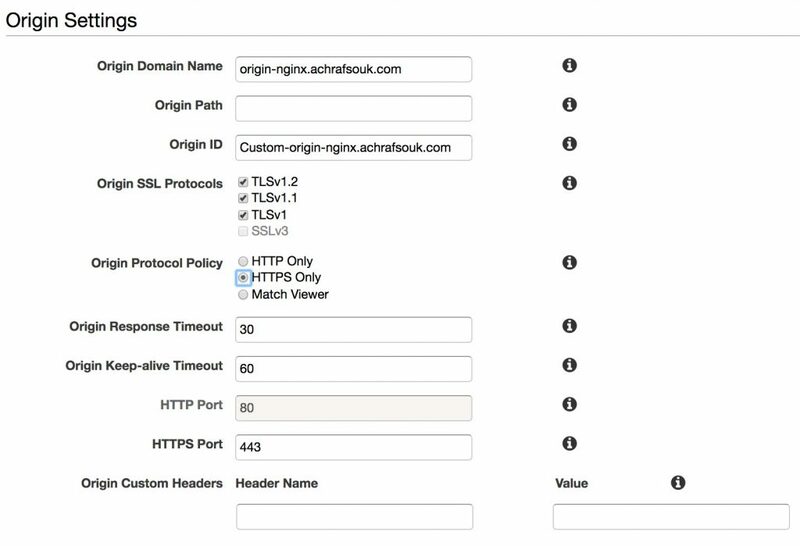 Whitelist Amazon CloudFront IPs on your custom origin’s firewall. A custom origin is an HTTP(S) endpoint, for example, an HTTP server on an Amazon EC2 instance or an HTTP server that you manage privately. If you have configured origin in a VPC, you can automatically update your Security Groups by using AWS Lambda. Configure CloudFront distribution to include a custom header carrying a shared secret whenever it forwards a request to your custom origin. You need to specify the header name and its value. For example, when using Amazon API Gateway as origin, you can configure x-api-key header with your API key value as custom header. Then configure your own custom origin domain name, select your accepted SSL protocols, configure the Origin Protocol Policy to HTTPS only, and set your timeouts for Origin Response and Origin Keep-alive. For the sake of simplicity, I left the rest options to their default configurations. Next, you will need to create a credentials.json file in which you paste the secret key that you can create using the Secure Link Module on NGINX. Construct the string to be signed. Compute MD5 signature, encode it in Base64 and replace some special characters. Add expiration and signature to the origin request using query strings. In this use case, I will use Origin Request trigger to execute Lambda@Edge function whenever Amazon CloudFront needs to get the object from the origin upon a cache miss. 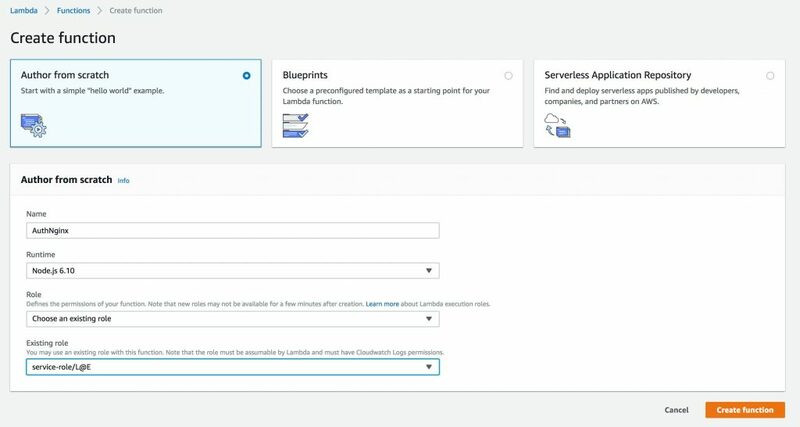 In this blog post, we configured CloudFront using Lambda@Edge to sign requests to private content on your custom origin. This solution represents one simple example of a variety of possible use cases where you can take advantage of Lambda@Edge’s customization power. To learn more about the services used in this example, please visit the Getting Started with Amazon CloudFront and Getting Started with AWS Lambda@Edge documentation for more information on how to get started with our services today.